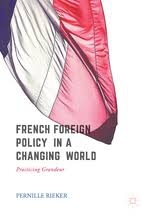 This book investigates how modern French foreign policy is practiced. France finds its traditional power status challenged by internal as well as external developments. Internally, it faces societal challenges related to unemployment, integration, social exclusion, Islamist terrorism and the rise of populism. 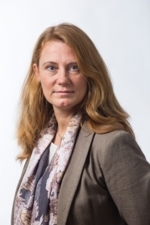 Externally, its status is challenged by global and regional developments – including the financial crises, competition from emerging states, EU enlargement and a more powerful Germany. While the French recognise that they no longer have great-power economic or military power capacities, the conviction of the universal value of French civilization and culture remains strong. As this book argues, for France to be able to punch above its weight in international politics, it must effectively promote the value of ‘French universalism’ and culture. This study investigates how this is reflected in modern French foreign policy by examining foreign policy practices towards selected regions/countries and in relation to external and internal security. Written by a senior researcher specializing in French and EU foreign and security policy, this book will be an invaluable resource for practitioners of foreign policy and students of French politics, international relations and European studies.